Today I have another cruelty-free review to share! This time I’ll be reviewing the shampoo that I’ve been using for the past little while. I’ve really been enjoying it, so if you’re interested in reading more of my thoughts on it, then just keep reading! Ingredients: Water/Aqua/Eau, Sodium Laureate Sulfate, Cocamidopropl Betaine, Cocamidopropl Hydroxysultaine, Glycol Stearate, Cocos Nucifera (Coconut) Oil, Helianthus Annuus (Sunflower) Seed Oil, Persea Gratissima (Avocado) Oil, Glycerin, Cocamide MEA, Guar Hydroxypropyltrimonium Chloride, Polysorbate 20, Citric Acid, Methylisothiazolinone, Fragrance/Parfum, Sodium Chloride, Ethanolamine, Benzyl Alcohol, Coumarin. Price: The price ranges, I would say, anywhere from $10 to $18 CAD, but this one was approximately $10 CAD. Availability: I received the Coconut Oil Nourishing Shampoo as a gift, but it came from Winners. I haven’t been able to find it anywhere else in Canada just yet, but I’m sure this shampoo must be available in other places. Pros: Cruelty-free; great scent; adds shine to hair; cleans hair without stripping natural oils; lathers well; moisturizing. My Thoughts: This is a great shampoo! I’d actually never heard of this brand before this past December, but I received it as a Christmas gift, so I was excited to give it a try! I’ve been using it quite frequently this spring and I’ve been totally loving it! First off, it smells so good. It has a really warm, rich coconut scent — which smells so delicious! I find this shampoo lathers very well — even with just a little bit — and it rinses out very easily as well. After using this shampoo, I find my hair is left feeling very clean and soft and looking healthy. I find this shampoo to be very gentle on my hair; it definitely cleans my hair without feeling like it’s stripping the natural oils away. I also love that this shampoo came in a giant pump dispenser. It’s so convenient whenever I’m in the shower and I want to wash my hair. I keep it on the side of the tub, so when I feel like my hair needs a wash, I just pump out what I need and lather up! The container is very large and I only wash my hair a few times a week, so this shampoo is definitely going to last me a while — which is awesome because I love it! Would I repurchase/use it again? Yes, absolutely! 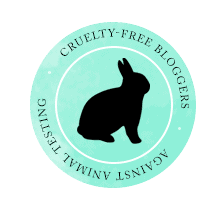 Previous Post Toria’s Top Ten: My 10 Favourite Cruelty-Free Brands! Next Post Mani Monday | Seen in Mint Green!